Proving that de facto corporate control of community foodways using the government as its hired thug is not just the purview of North America, Ireland has moved to ban all raw milk sales by the end of 2011. This shocking development appears to be in response to an enormous and rapid surge in the sales of unpasteurized dairy since late 2010 when Irish dairy farmers realized the full implication of a 2007 European Union directive that actually superceded an Irish ban on raw milk sales by the Department of Agricultural Fisheries and Food (DAFF) in 1996. One farmer told the Irish Times that his raw milk sales this past summer went from zero to 400 liters (about 100 gallons) per week in nothing flat. The surge in raw milk sales in recent months has not brought any increases in food borne illness or disease, leaving one to ponder why the Irish government is moving so strongly to outlaw raw milk with one fell swoop. “Pasteurization is the hammer that industry uses to nail down control of everyone’s milk money. ” … responsibly produced raw milk is not the risky cocktail you’ve been led to believe. In fact, bans like this one aren’t about safety at all – and they never are. 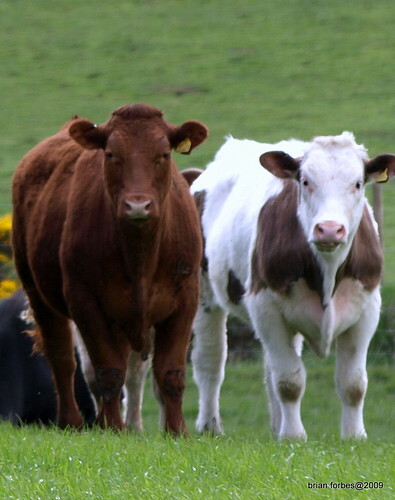 The new ban planned to go into effect by year’s end was proposed by the Food Safety Authority of Ireland and is to be enacted as statutory law on behalf of the DAFF by the Department of Health. I find it curious that the Irish ban on raw milk sales coincides with changes to the lineup of grassfed butter produced in Ireland by Kerry Gold. Not only is the new “full fat” Kerry Gold tub butter that is being marketed as “more spreadable” than the traditional brick butter not nearly as yellow indicating poorer quality butterfat that is lower in nutrition, but the addition of the new reduced fat butter ominously indicates a more profitability based product line such as what would be promoted by the monopoly controlled Dairy industry in the United States. It seems that Big Dairy has landed on the Emerald Isle in full force with the political and financial goal to control every drop of quality dairy produced by this primarily grassfeeding nation where cows graze on lush grass for most of the year. Clearly, marketing control of the grassbased dairy produced in Ireland is a moneymaking opportunity with far too much profit potential for Big Dairy to pass up. Using the government to secure corporate control of the market by banning raw milk sales under the guise of improving public health is the crucial first step.